The DC Extended Universe hasn’t had the best of luck so far with critics. 2013’s Man of Steel received mixed reviews, while those for Batman V Superman: Dawn of Justice and Suicide Squad were just plain bad – for the most part. At last, Wonder Woman has given the franchise its first certifiable hit and more importantly, the film is now currently sitting as the highest-rated superhero movie ever on Rotten Tomatoes. The debut solo cinematic adventure for the Amazonian princess has managed an impressive 97% rating on the popular review aggregate site. That’s a hell of a lot higher than the previous top DCEU movie – Man of Steel at 55%. What’s more is that it’s also higher than any Marvel effort you care to mention or even Christopher Nolan’s beloved Dark Knight trilogy. Furthermore, in case you’re wondering, Wonder Woman’s closest competitors, at the moment, are Iron Man and The Dark Knight, which both sit at 94%. Obviously, there are a few caveats here. 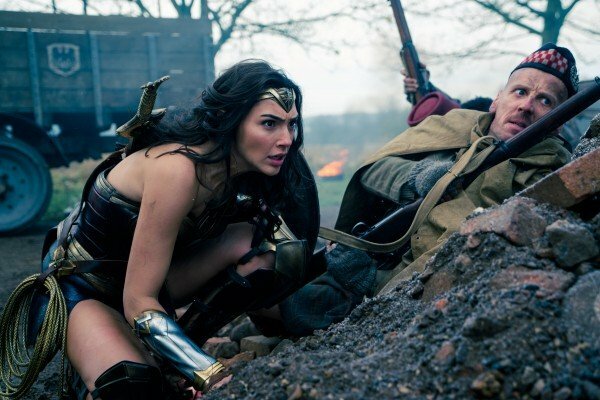 The rating does not mean that critics thought Wonder Woman was a near-perfect movie, but rather that 97% of critics gave the film a positive review overall. The average critical rating for Wonder Woman is actually 7.6 on the site. The Dark Knight, for instance, still beats it on that front, then, as that movie stands with an average critical rating of 8.6. Still, this remains a fantastic achievement for DC and Warner Bros. There was so much pressure on the franchise to finally deliver a hit and fans and Hollywood execs alike can now breathe easy that one has appeared. It’s worth remembering that Wonder Woman is also the first female-led superhero movie since mid-00s flops like Elektra and Catwoman. Assuming that its box office performance can match its critical reception – which it looks like it will – then it seems that we could be about to see many more super-women on the big screen in the very near future.